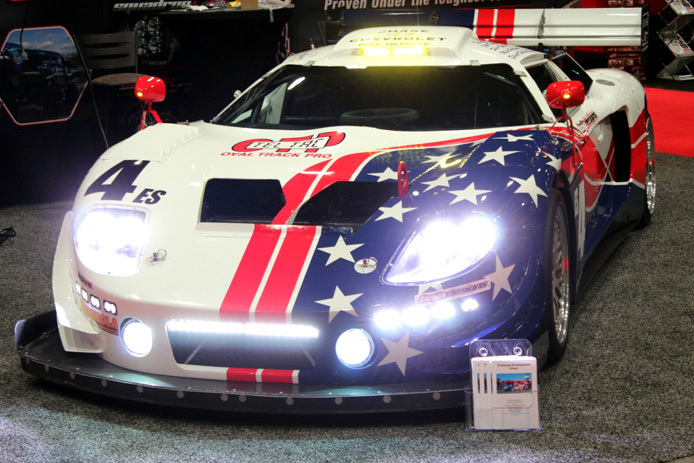 While attending SEMA this year, Torry (excheese15) and I were chatting with a vendor when we noticed light coming from another booth… BRIGHT light. Keep in mind, we’re in the very well-lit Las Vegas Convention Center, and the light that was going on and off was literally lighting up shadowed areas in the booth we were standing near… almost 100 yards away! Curious, we strolled over to the source of this blinding distraction, and met up with the team from Baja Designs. Deanne, the company CEO, was demonstrating a set of their off-road lights. The amazing part of this demonstration was the overall size of these lights – Forget those big, goofy KC / Hella lights you’re used to seeing – These were compact, intricately-designed, and clearly well-built. Their display included the Team PDG Factory Five DTM, which is outfitted with several BajaDesigns lighting products. Of particular interest to me were the BajaDesigns Squadron LED Lights. 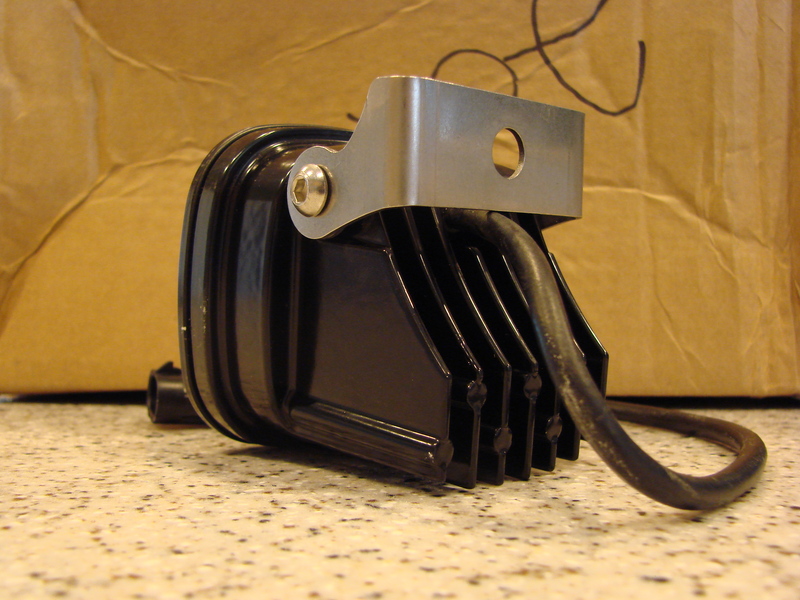 These things are compact, at 3″ x 3″ and only 2.75″ deep! However, don’t let the small size fool you. 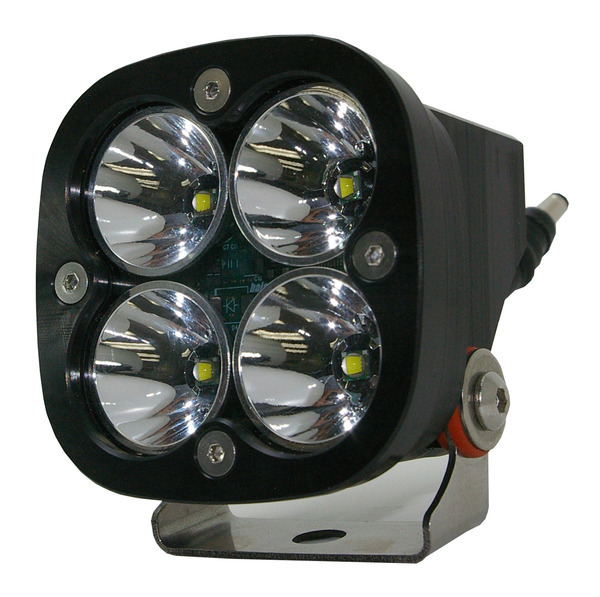 Each Squadron light has an output of 3600 lumens while using only 42 watts. 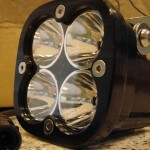 So, if you’re a math whiz like me, a pair of these bad boys generate a blinding 7200 lumens of 5000K super-white light! Wait, it gets better – They only weigh twelve ounces! 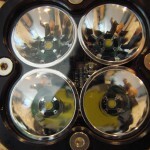 (By comparison, the KC HiLiTES LZR LED Driving Lights only generate 1400 lumens – WEAK!) No question, these lights are the real deal. The Squadron Series lights are available in several different lighting patterns: Spot and Driving patterns, Wide Cornering and Work/Flood patterns. Which to choose? Well, for you racers, the Wide-Cornering Squadron LED lights were developed for race vehicles and are optimal for apex lighting. They’d be great for street use as well. 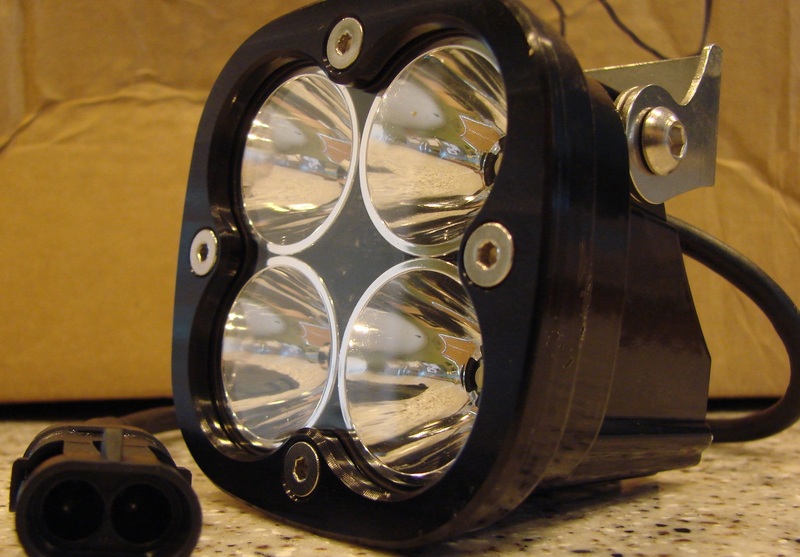 Deanne explained that ALL the Squadron lights utilize CREE XML T6 LED’s, and are encased in an aircraft-grade billet aluminum housing that is a work of art in itself. The hard coated polycarbonate lens and full gasket means these lights will take all the abuse you can throw at them – They’re even waterproof to 3 meters (and I don’t think anyone plans on going 10 feet underwater with their car). During our visit, Torry and I also met up with one of the lighting engineers. He explained that these are the ONLY user-serviceable LED lights on the market, and demonstrated how easy they are to customize. What does that mean to you? Well, a lot – The lens can be replaced if it gets pitted, hazed or chipped. The optics are user changeable, which allows you to truly customize the beam pattern for the trails/road/tracks you drive on. 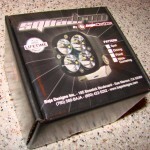 I could have used a set of these during the Night Drift events at Firebird Raceway! 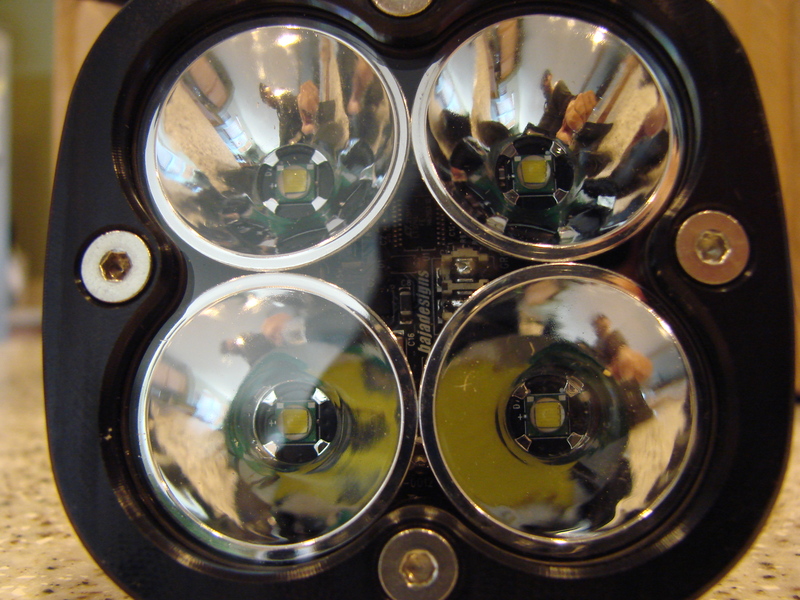 In talking with the lighting engineer, he also explained how BajaDesigns utilizes industry-leading thermal management so that the LED’s stay as bright as the day they were installed. He also explained to us how LED-based lighting systems perform so much better in dust than HID lights, which is why since 2006, BajaDesigns lights have been the lighting solution of choice for many Baja 1000 competitors. You can see the light bar in one of the pictures, hanging haphazardly off the truck. 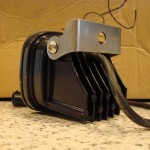 On top of ALL that, all of the BajaDesigns lighting solutions are Made In America AND they have a lifetime warranty! Delivery was quick, and we couldn’t wait to get started. 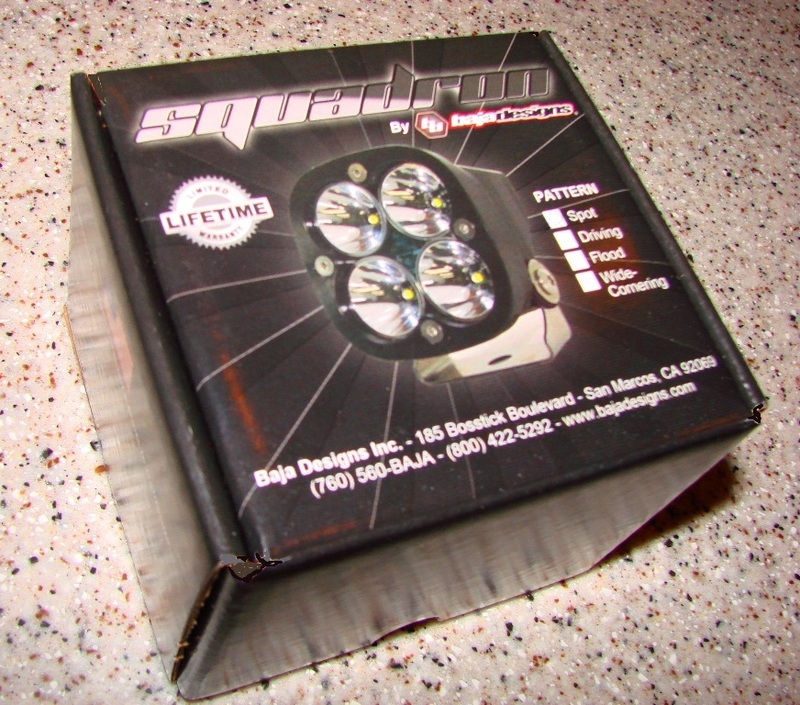 Even the packaging looks high-end! Unpacking the lights, it’s hard to imagine how something so small can pack so much power… Click on the thumbnails below and check out the detail in the billet aluminum housing, and the visible circuit board within! 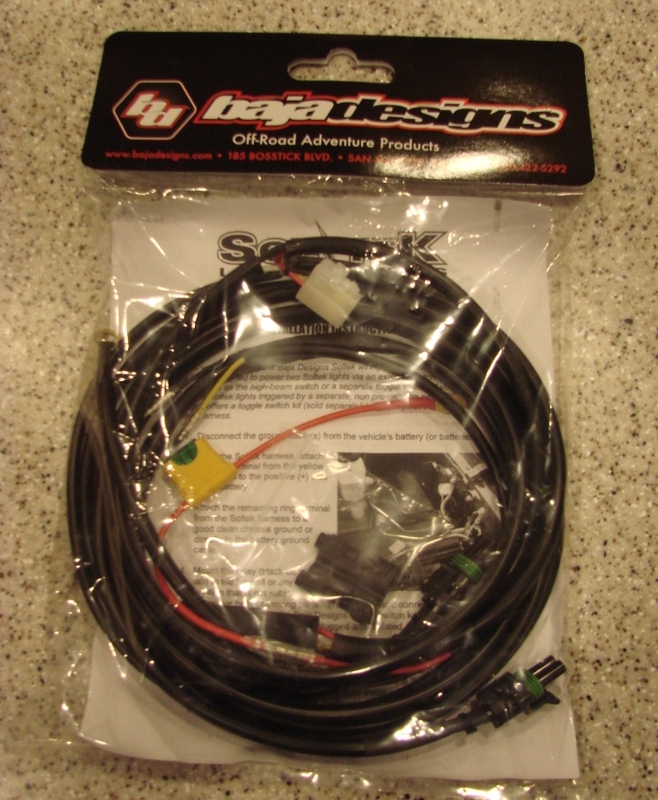 BajaDesigns also offers a full wiring harness for the Squadrons, which made the installation incredibly easy. Best modification I ever did on our Frontier!